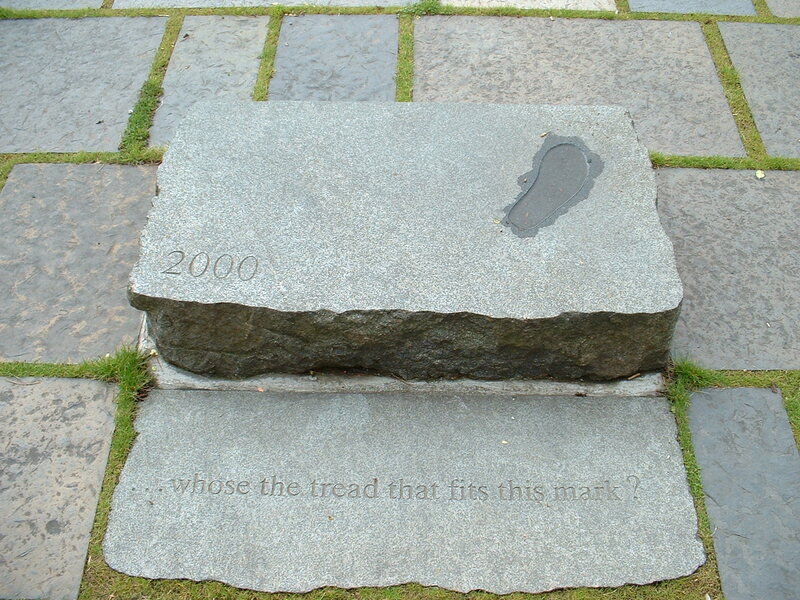 The Stones of Scotland was created in 2000 to celebrate / commemorate the Scottish Parliament being re-established but also attempted to mark its spirit. It is a potent sculptural piece by artist George Wylie, which is redolent with Scotland’s past and full of hopes for its future. Stone and steel rung around a solitary Scots pine: young and fragile in the urban realities of the modern era. Thirty two stones were gathered into the circle, drawing on the geological diversity of the country. Many show signs of quarrying, and working, seemingly in different states of finish, presencing the industry and craft which has contributed to the heritage and character of Scotland. 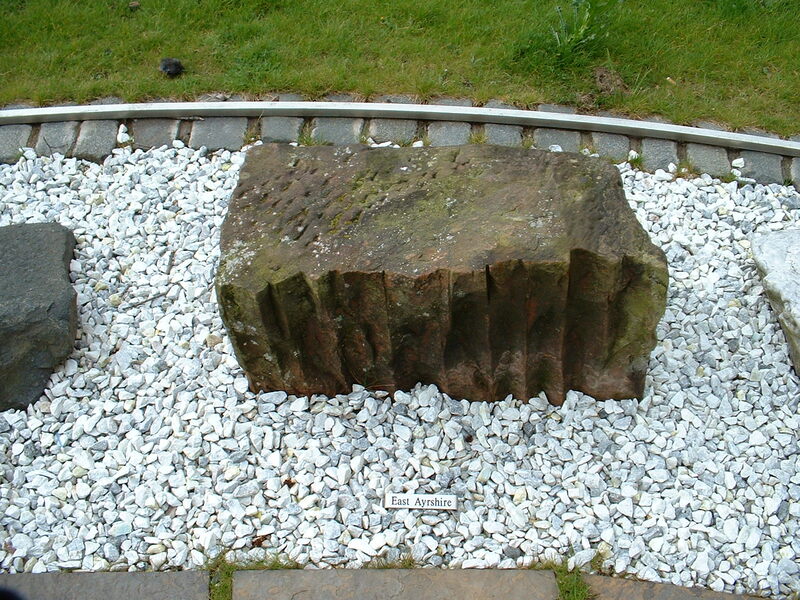 From East Ayrshire, a fossil pocked surface of old red sandstone, splits visible celebrating the quarrying, the mining, the sculptural versatility of a material. Evoking tenements within which many generations of families have lived within. From Aberdeenshire, the polished granite, cool, smooth but hard won, reliable. 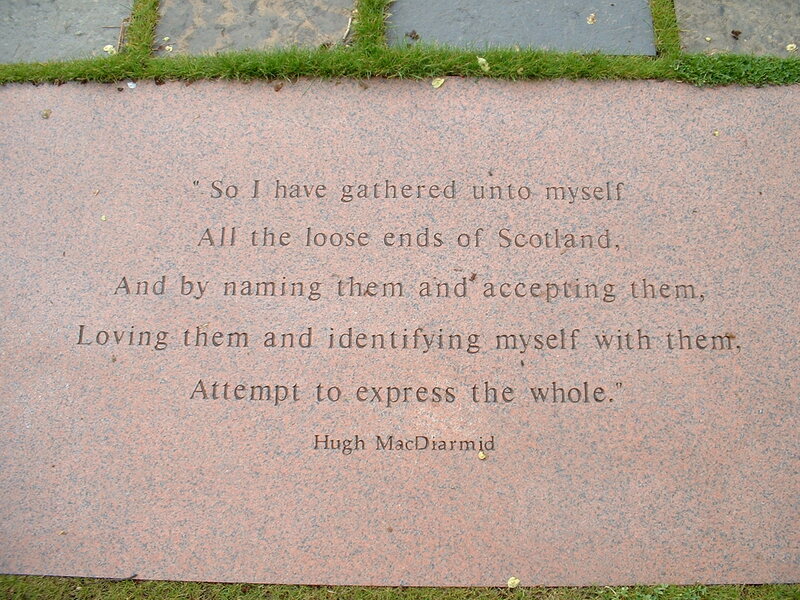 These fragments of Scotland’s regions, drawn together, like the words of verse, are bound by the lines from poet Hugh MacDiarmid: a celebration of our differences which we share. And also in the centre of the circle, is a stone with a foot print carved on it. 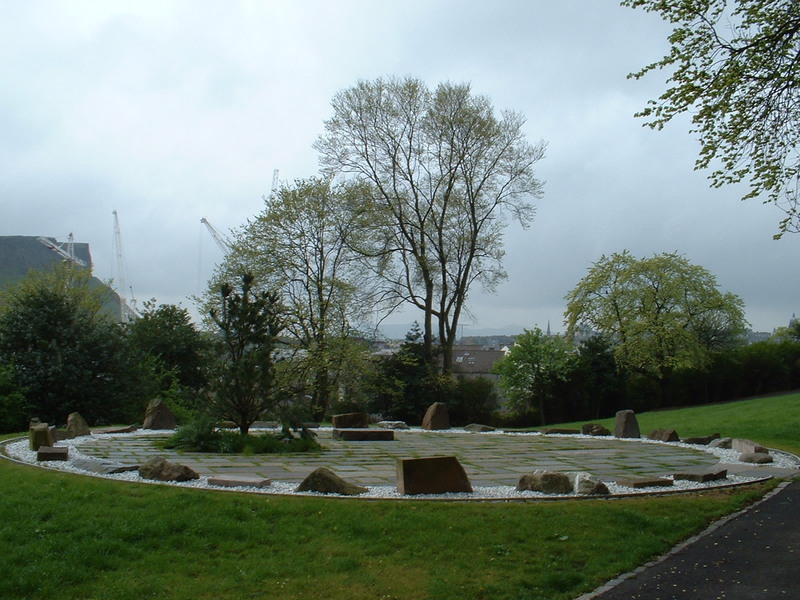 Evoking the sites and ceremonies of the early Historic period of Scotland. come from a poem ‘Incantation‘ by Tessa Ransford. Ten years later from when the above photos were taken, I revisited the piece in the fading twilight of a winters day. Taller, fuller, I was pleased to see it had grown and matured since I last visited. In another ten years, I will visit again. The foot print in stone can be paralleled most strikingly at Dunadd, in Kilmartin. 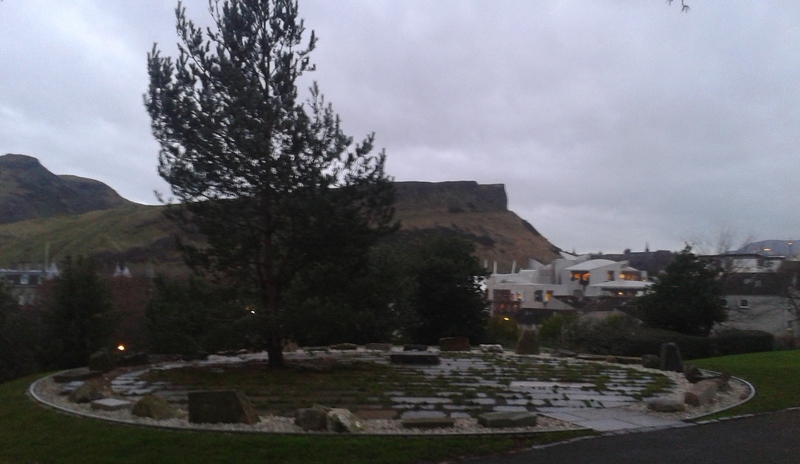 The seat of the Dalriadic Scots, it is said the ceremony to crown their kings required the individual to place their bare foot on the rock: a real connection to land. The depth of the footprint sculpture is a powerful device suggesting, with the slight wear on the rock this single act would have, to all those who took part a long time depth to the ceremony, and deep connection to the land. 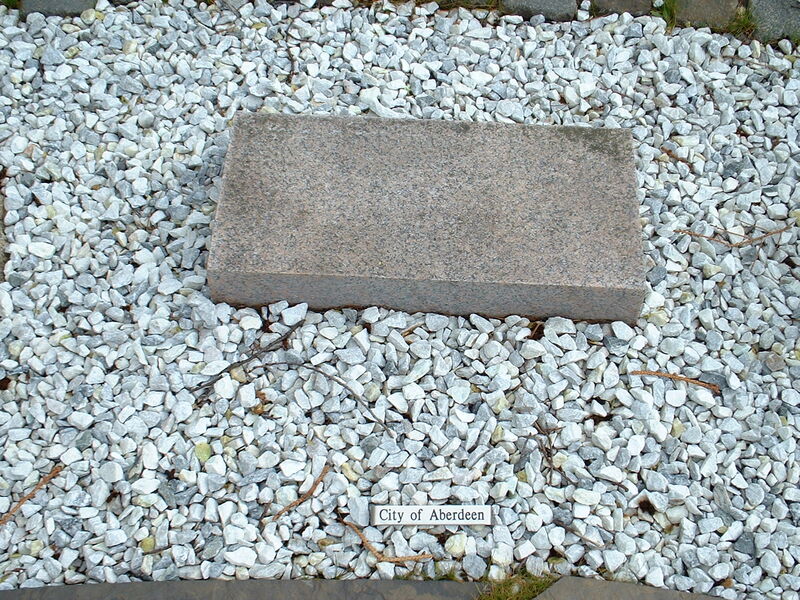 This entry was posted in Creativity, Heritage and tagged archaeology, creativity, George Wylie, Heritage, History, Hugh MacDiarmid, Poetry, Public Art, Scotland, Sculpture, Tessa Ransford, The Stones of Scotland by gmacg1. Bookmark the permalink. This is a fascinating example of millennium sculpture drawing on geology and prehistory. I love it. It reminds me very much of a series of examples at the National Memorial Arboretum that I have published about in the International Journal of Heritage Studies, which have both national and international narratives by drawing togethet geology from disparate geographical origins into a stone circle form.